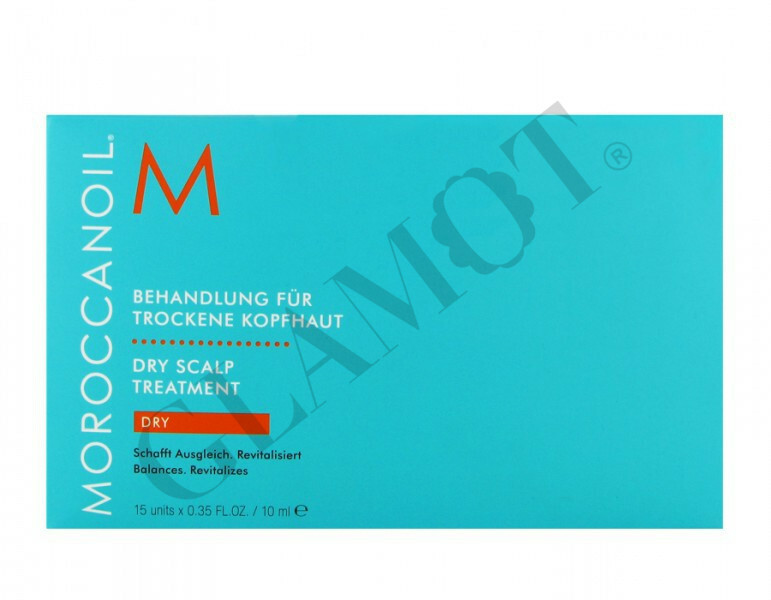 Moroccanoil Dry-No-More Treatment Scalp Treatment is a restorative treatment made with natural ingredients and essential oils. It contains geranium and the signature argan oil rich in polyunsaturated fatty acids and vitamin E, helping to protect and moisturize the scalp and revitalize the hair. It is designed to combat dry scalps. This Scalp Treatment benefits the hair follicle at the root while enhancing the healthy appearance of the hair, leaving it full and shiny. Each spray is infused with ingredients that offer soothing and calming properties that help reduce dryness and invigorate the scalp to promote healthy, lustrous and beautiful hair. Diagnose scalp issues. Using a comb, separate hair into 5 equal sections. Using MoroccanOil Dry-No-More or Oil-No-More Professional Scalp Treatment, apply 1-2 drops to each section. Massage scalp for 10 minutes to increase blood flow and circulation. 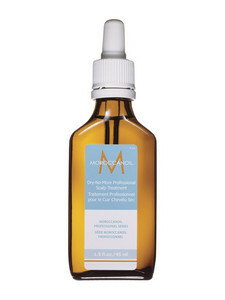 Let sit for 5-10 minutes and wash with MoroccanOil Moisture Repair Shampoo and Conditioner.